The ancient city of Murau (distance 15 km) is famous for the cleanest air of Austria, her city rights from 1298 and of course the Austrian musicians Brunner&Brunner. There are also possibilities for some cultural activities, such as the Mur Valley Railway, an old steam train which you can have a trip on through the valleys. You can also visit the Murauer beer brewery. For golfers the area of Kreischberg is a true paradise! There are over 24 golf courses in the vicinity of the chalet. Through the landscape floods the river of the ‘Mur’, perfect for canoeing and rafting. There are several lakes for sailing and windsurfing. At the most popular lakes there sailing schools and rental companies. For hikers there are over 270 km of marked hiking paths, even with GPS! Two-day hiking trips are also organized. 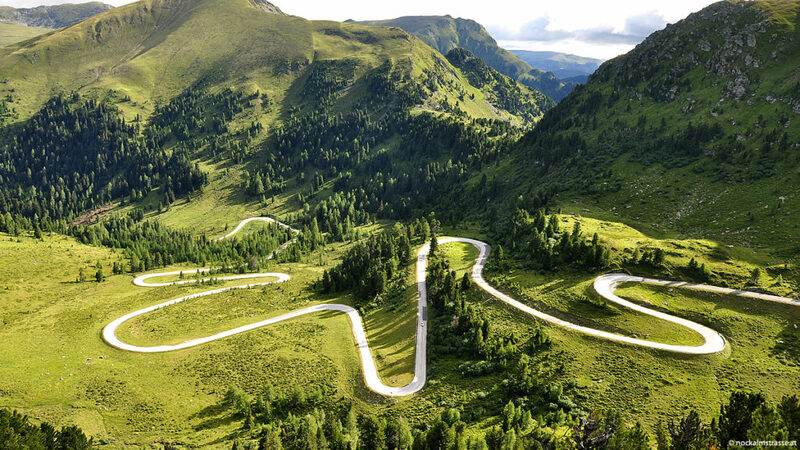 If you would like to take a day trip by car, the Nockalmstasse is recommended, open from May to October. This is in the higlands which was put under supervision of the National Park Nockberge in 1987. The road of 35 km long swings through the valleys and the highlands through a natural green paradise. The eager visitors can look for the information signs and find out about all the backgrounds of this natural piece of nature. There are various beautiful routes for hikers.